The ideal book for a special gift - Nostalgic Views of the North-Third Selection of Work- is now available at a very special discount offer. This special limited edition book with over 170 photographic images and many interesting notes and facts contains images of the North of England to fall in love with. This book will make a wonderful gift for anyone who loves 'Nostalgia' or for the person who has everything! SPECIAL OFFER ......'Nostalgic Views of the North' Book 3 now available DIRECT FROM THE PUBLISHER at a special price of only £9.95 with *FREE postage and packing (normal R.R.P £14.95 + post and packing) AND at 'Beamish Museum' shop at the same special offer price £9.95 - SAVE £5 on R.R.P. 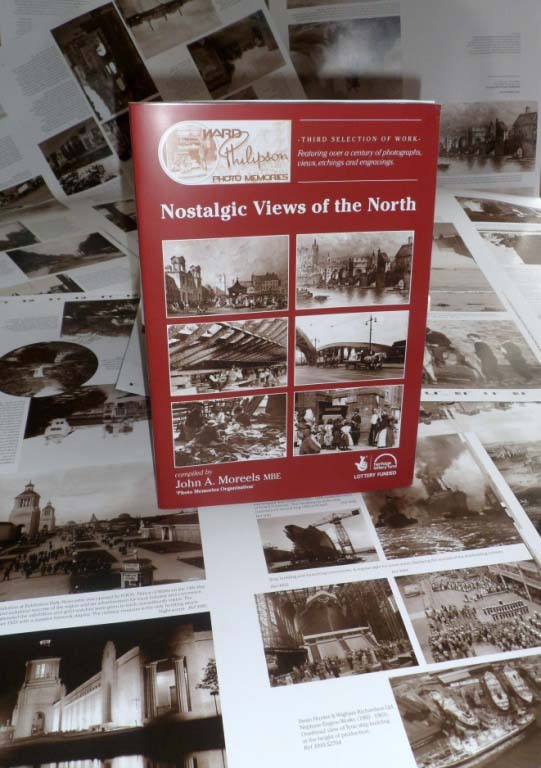 'Nostalgic Views of the North' FlipBooks 1 and 2 now available on C.D. as a unique page by page 'FlipBook' DIRECT FROM THE PUBLISHER at a special price of only £9.95 with *FREE postage and packing. 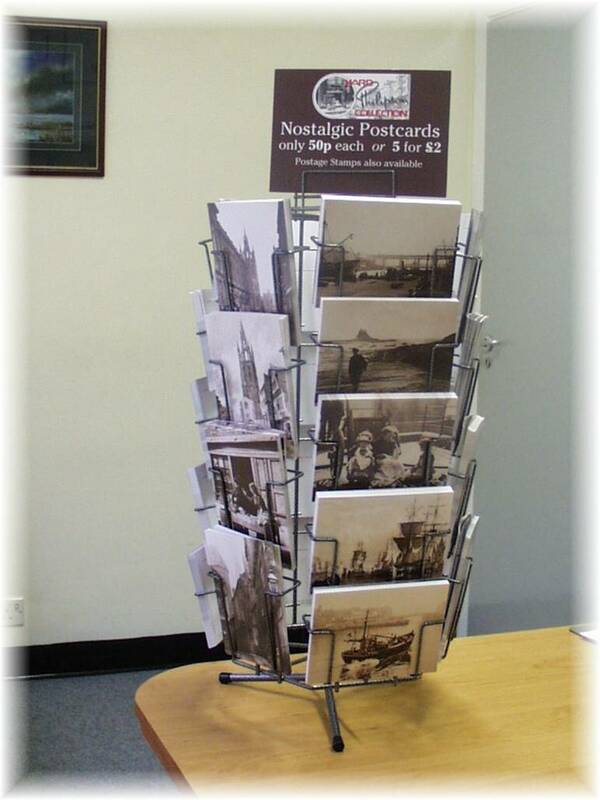 To order your copy / copies send your name, address and contact telephone number with a cheque payable to 'Photo Memories Organisation' for £9.95 each book or C.D. to Sheila Moreels (P.M.O.123), 7 Coventry Road, Newton Hall, Durham City. DH1 5XD. Contact telephone number 0191 3867297. Your book/C.D. will be dispatched in a padded envelope or you can collect by arrangement. Satisfaction guaranteed or return it for full refund. BOOK 3 (Red Cover) contains images from many parts of the region which have not featured in the previous books. Allendale, Alnwick, Bamburgh, Berwick upon Tweed, Blaydon, Brinkburn, Byland Abbey, Bywell Bay, Chillingham, Chollerford, County Durham, Cragside, Cullercoats, Durham City, Gateshead, Hartlepool, Harton, Harton Staithes, Haydon Bridge, Hendon, Hexham, Holy Island, Jesmond, Lambton Castle, Lindisfarne, Marsden, Middlesbrough, Morpeth, Newcastle upon Tyne, North Shields, Northumberland, Otterburn, Port Clarence, Raby Castle, Rievaulx, Seaburn, South Shields, St. Hilda’s, St. Mary’s Island, Stockton on Tees, Sunderland, Tynemouth, Wallsend, Warkworth, Wearmouth, Whitburn, Whitley Bay....................., AND PEOPLE AT WORK AND PLAY. 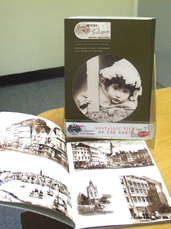 The first selection of 'Nostalgic Views of the North' was published in 1998 with the second selection produced the following year. Unfortunately books 1 and 2 are sold out, are now collectors items but are now available as 'FlipBook' C.D.s (See details above). Contact us by telephone for more details. BOOK 1 (Green Cover) - Photographs now included on this site. * Alnwick * Barnard Castle * Bedlington * Belsay * Berwick upon Tweed * Blanchland * Byker * Castle Eden * Cheviots * Chollerford * Coquetdale * Cullercoats * DURHAM * Felling * * Gateshead * Hexham * Holy Island * Lumley * Newbiggin by the Sea * NEWCASTLE UPON TYNE * North Shields * Otterburn * Prudhoe * Redcar * Roman Wall * Rothbury * Saltburn * * Seahouses * South Shields * Staithes * Stanfordham * Stokesley * SUNDERLAND * Swainby * Team Valley * Tynemouth * Warkworth * Whitby * Whitley Bay * Wooler * ............ .............. AND PEOPLE AT WORK AND PLAY. BOOK 2 (Blue Cover) - Photographs now included on this site. * Alnmouth * Alnwick * Bamburgh * Barnard Castle * Berwick upon Tweed * Blackhall Rocks * Blanchland * Blyth * Bowes Museum * Castle Eden * Corbridge * Craster * * Cullercoats * Dunstanburgh * DURHAM * Gateshead * Hadrian's Wall * Haydon Bridge * Helmsley * Hexham * Holy Island * Lambton * Langley * Lindisfarne * Marsdon * Mitford * * Newbiggin by the Sea * NEWCASTLE UPON TYNE * North Shields * Northumberland * Prudhoe * Raby Castle * Redheugh * Richmond * Rievaulx Abbey * Runswick Bay * Saltburn * * Scarborough * Scotswood * Seaburn * Seahouses * South Shields * Staithes * St. Anthony's * St. Mary's Island * SUNDERLAND * Tynemouth * Warkworth * Whitby * * Willimoteswick Castle * Yarm * .............................AND PEOPLE AT WORK AND PLAY. BOOK 3 (Red Cover) Now Available - Order your LIMITED EDITION SIGNED copy NOW ! 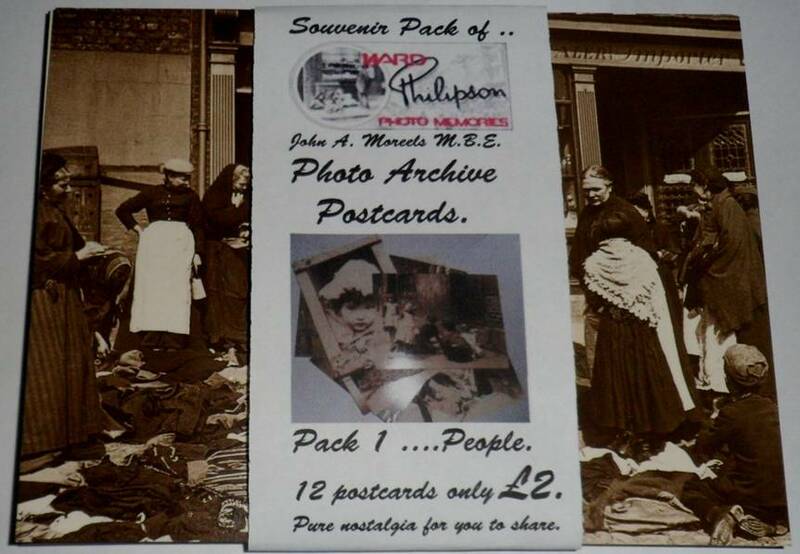 To order your limited edition signed copy / copies send your name, address and contact telephone number with a cheque payable to 'Photo Memories Organisation' for £9.95 for each copy to Sheila Moreels (P.M.O.3), 7 Coventry Road, Newton Hall, Durham City. DH1 5XD. Contact telephone number 0191 3867297. Your book will be dispatched in a padded envelope or you can collect by arrangement. Satisfaction guaranteed or return it for full refund.